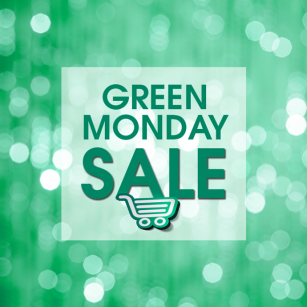 Get a jump start on your holiday projects with our Green Monday Sale! All fabric on the bolt with any green is 20% off on Monday, October 2. Remember, we also have many threads (Isacord, Maxi-Lock, Aurifil, etc.) that are below normal retail pricing. Do you have the Best Press you'll need for those special projects? We have the scent and size you love at a price that can't be beat. Click here to shop or visit our calendar and register for classes online. 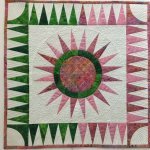 Machine piecing on paper foundations puts perfection in your quilt making. Using Alex Anderson's Paper Piecing guide, we will learn to construct the New York Beauty block. Two weeks later, the class will meet a second time to assemble finished blocks into a quilt. Silhouette workshop. Bring your laptop and Silhouette. The Cameo 3 will be demonstrated. Learn to use the Quick Curve Ruler to make this fun and festive block! Come explore all the wonderful things you can do with your Bernina feet and discover how easy a task can be with the right tool. Series 1 starts with the basics: simple straight-line and free motion quilting, buttons and buttonholes, zippers, edge-stitching, double needles, and eyelets. SQ will provide stabilizer, batting, and some embellishments. Students will purchase feet, fabric, and optional items. Class meets once a month for 6 months. Continue your exploration into the world of Bernina feet. Series 2 covers free-motion embroidery, pintucks, piping, stitching perfect circles, couching, and free-motion couching. Completion of - or concurrent enrollment in - Series 1 is suggested but not required. Store will provide stabilizer, batting, and some embellishments. Students will purchase feet, fabric, and optional items. Class meets once a month for six months. Have you seen the DesignWorks tools in action? If you own a 5, 7, or 8 series machine, you must see these fun tools. Come experience CutWork, CrystalWork, and PaintWork, and jazz up a notebook at the same time. NO SOFTWARE REQUIRED! Bring your embroidery machine, a few basic supplies, and weï¿½ll provide the rest. Learn the secrets to perfect machine embroidery with April as your guide. Stitcher's Quest hosts an open sew day for unfinished projects on the fourth Thursday of each month. Bring your machine, supplies, and be ready to socialize. We'll provide beverages. Bring a dish if you'd like to share for our side table. Claudia's Creations Hocus Pocus - a two day workshop. Bring your embroidery machine and stitch up this fun panel!